Here is a list of some significant UK music publications. With so many out there to read, we've just picked a few that we hope you will find useful. Covers the international contemporary live music business. For professional sound engineers & studios. News about the international record industry. One of the UK's leading independent Music Magazines. The authoritative voice of the classical music profession, offering a behind-the-scenes approach to a fast changing industry. The BBC’s best-selling classical music magazine. CMU supports the music community by providing news, business intelligence, training and education. Available as a daily digest in email form for free. Additional reports and stories are available for premium subscribers. Dazed and Confused is a key international lifestyle title for the youth crowd. Originally a print magazine launched over 25 years ago to reflect the UK electronic music scene, DJ Mag is now a huge multimedia brand spanning print, web, video and events. The online edition of Electronic Musician Magazine. Find reviews of home recording equipment, drum loops, audio samples and more. 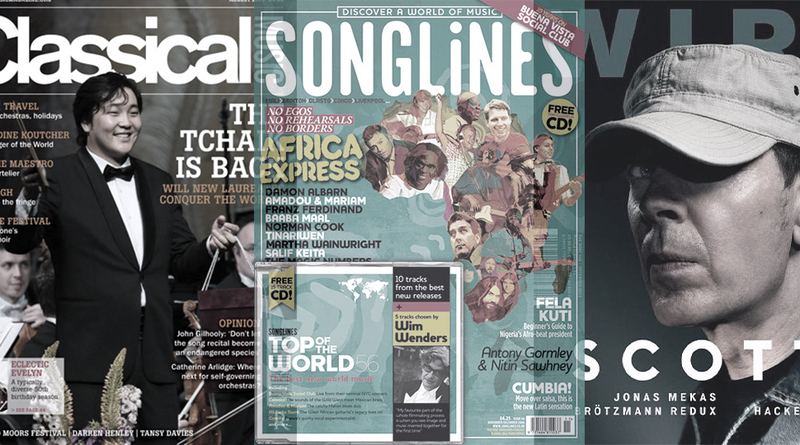 Roots, folk and world music monthly. i-D is a long established UK style and fashion magazine, embracing a range of contemporary culture, including music. World’s biggest selling rock music weekly. Professional and trade journal for lighting and sound in the entertainment, presentation and communications industries including music venues, theatres, concert halls, conferences and exhibitions. Covers the UK contemporary live music business (concerts, equipment and supplies). Gives information on clubs and dance music and delivers playlists, podcasts and guest mixes from current producers. Long standing music title that's aimed at a slightly older market, its main focus is on rock, alternative and world music. Online resource for guitarists, bassists, drummers and producers alike covering new gear and latest music technology. Also acts as umbrella for several leading print magazines including Total Guitar, Future Music, Rhythm and Computer Music. Practical magazine for recording musicians, sound engineers and producers which offers tutorials and how-to features. Leading UK music industry publication, running for over 50 years, providing essential reading for anyone wanting to get to grips with the latest industry issues and the UK music business. Long established rock and pop weekly. Since 2018 the NME is available online only. Covers music recording including articles on best practice, reviews of microphones, mixing consoles, samplers, music software and insight into how classic and current tracks were put together in the studio. Uk trade magazine for professionals within the audio-visual and custom installation industries. The magazine contains information for its city of publication about events in film, theatre, fashion, literature, other artistic events, eating out and nights out.